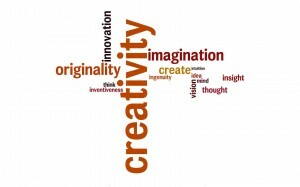 Everyone can be creativity, so why limit it in class? Students should be encourage to think outside the box whenever possible and be open to new ideas inside and outside of the classroom. Therefore, educators should encourage them to be more creative. Let’s find out how we can encourage our students to be creative! In order for students to be creative and innovative, risk-taking must be encouraged in class. Teachers must create a safe environment that allows risk-taking. Let your students know that mistakes are acceptable and allow them do redo their work. Two heads are better than one. Allow your students to work together, either in pairs or in groups. This would encourage them to share different ideas and perspectives. Working in pairs or groups can help students develop new approaches to solving problems. It is important to encourage your students to ask questions. This is how they can learn in class. Give your students opportunities in class to ask questions. Check here for some suggestion form the Voki Team on how to encourage your students to ask more questions. We would love to know how you encourage your students to be creative in class!